Please note: This is a copy of our newsletter email sent on 15th April 2019. The products, offers or vouchers mentioned may no longer be available. Please do not contact the merchants if an offer mentioned is no longer available on their website. 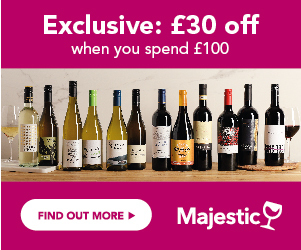 That's right, you can still enjoy all those wines you know and love, with a staggering 25% off at Tesco Groceries when you buy 6 bottles! So if you've been planning on stocking up for the warmer months, there is no better time. Why not order now, and enjoy these fantastic savings in time for the Easter break? Buy 6, Save 25% now! Offer valid for deliveries until 23rd April 2019. Sales of alcohol are restricted to persons aged 18+ only. You may be asked to provide proof of age.